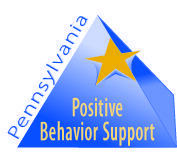 Osborne Elementary School has been designated a model school for the Pennsylvania’s School-Wide Positive Behavior Interventions and Supports program. External program evaluators rated the program extremely high during a site visit and evaluation. During the site visit and evaluation, professionals from PaTTAN (Pennsylvania Training and Technical Assistance Network) and other experts in Positive Behavior Support conducted interviews with the building principal, guidance counselor as well as several teachers and students. Osborne earned a score of 90 out of a possible 95 points. According to PaTTAN, School-Wide Positive Behavior Interventions and Supports is a proactive approach to discipline that promotes appropriate student behavior and increased learning. Traditionally, models of school discipline tend to be reactive – focusing on student misbehavior that results in punitive consequences.